Adventure People and The Traveller Trails magazine in association with Himachal Pradesh Tourism successfully organized an adventure rally into the hidden lands of the state. The pro-tourism rally based on the Himachal Government initiative ‘Nayi Rahein Nai Manzilein’, to develop new tourist destinations in the state was flagged off on November 9 from Kufri. 74 adventure enthusiasts in 25 vehicles covered the route from Kufri to Bir in Kangra district via Pabbar Valley and Janjehli. During the course of three days, the travellers from the different parts of the country got a chance to see the untouched areas of the state and had a wonderful first-hand experience of Himachali culture and traditions. The event is instrumental in seeking the feedback of travellers and adventurers in terms of their expectations from the service providers and stakeholders. It includes entrepreneurs, investors, service providers, travel writers, bloggers, photographers, social media influences, opinion leaders, industry by creating an environment for interaction and exchange of ideas. Further, the exercise aims to learn from the experience of individuals and enterprises who have successfully run ventures in remote areas and unconventional destinations and promotion of these lesser-known destinations. 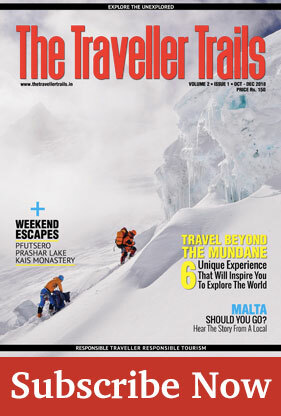 Big applause to Himachal Tourism, Adventure People, hospitality partner Tethys Himalaya and Bawray Banjary.